a much higher amount of fibre than most. 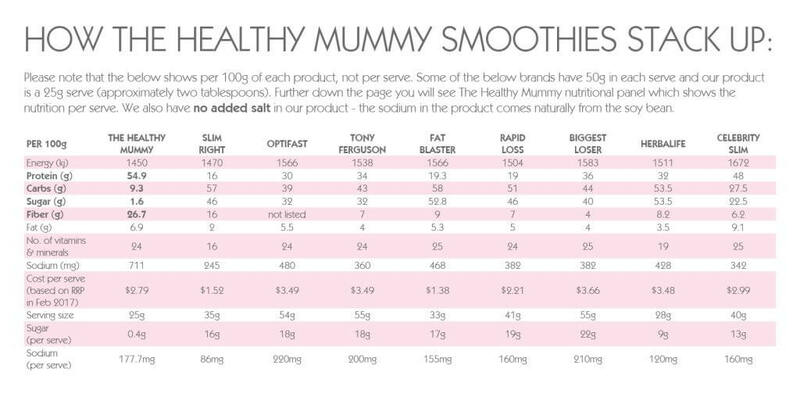 There is also NO added salt in Healthy Mummy Smoothies (the sodium shown on the chart comes naturally from soy beans). Unlike many other meal-replacement drinks, The Healthy Mummy Smoothie also contains wholefood ingredients that are beneficial to mums, including those who are breastfeeding. Our Smoothies contain flaxseed, pumpkin seeds, and fenugreek which have all been found to support breastfeeding, weight loss and energy levels. Read more about the specific ingredients in our Healthy Mummy Smoothie by downloading our fact sheet here. 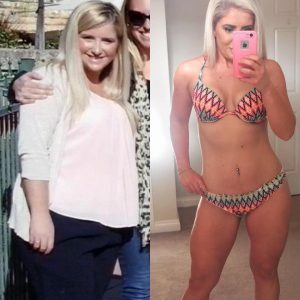 Elle has lost over 20kg with Healthy Mummy Smoothies and our 28 Day Weight Loss Challenge. Elle has been having Healthy Mummy Smoothies for breakfast religiously since July. When she is on the go during the middle of the day, she finds it helpful to have a Smoothie for lunch too.